Ryan Brett is a left-sided player who began his career at Plymouth Argyle. After a spell locally with Plymouth Parkway, he spent three years at Salisbury City where he helped them win promotion to both the National League South and National League. He later joined Truro City ahead of the 2014-15 campaign and had three seasons in Cornwall until leaving in the summer of 2017 and signing for the Peacocks. 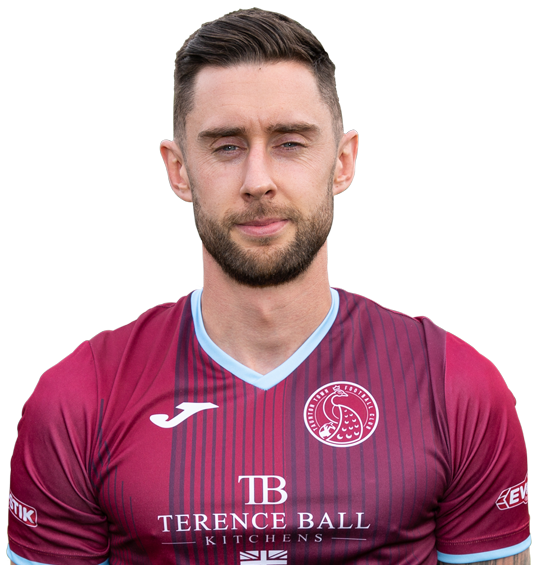 Ryan was voted joint winner of the Players’ Player award for 2017-18.